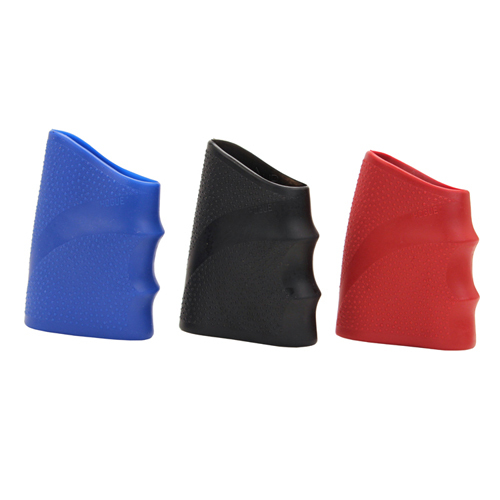 The Hogue HandAll Blue, Black and Red Large Tool Grip Assortment is great to add to the tool kit of any home improvement enthusiast. These Large Drill Hand Grips constructed by Hogue are designed to increase the comfort of your tool during extensive projects. The Hogue Hand All Tool Hand Grip Assortment Pack is made of an incredibly soft elastomer that provides you with a shock-absorbing surface that will prevent vibrations that would potentially hurt your hands. This Hogue Hand Grip can be used with tools that have handles that are 4.63" to 5.75" at the top and 5.13" to 6.25" at the bottom, offering incredible versatility. The Hogue Assortment of Hand-All Tool Grips are great for protecting your hands during long improvement projects.